I have been working in clay for over 32 years and until a recent venture into Raku, I have made my living turning out the traditional line of functional gas fired stoneware – mugs, bowls, pitchers, etc. And although throwing the repetition of forms on the potter’s wheel still very much holds the magic for me - and taking down the door on my gas kiln is still like Christmas - I have stepped into the world of one of a kind wheel thrown and sculptural pieces and the spontaneity and unpredictability that is the Raku firing. In 1994 I married my husband Bill who at the time was a warehouse manager helping to maintain the Navy’s oil spill and salvage equipment. He left that job in 1996 and came to work fulltime with me in my pottery business. Although he had no previous experience with pottery we both soon discovered his natural ability to work with clay. While at Sarah Creek Bill was introduced to Raku and eventually taught himself the art of firing Raku. It is from him that I learned to love Raku and the techniques involved in the firing process. In January of 2004 we moved to Mathews County, VA and opened our studio Summer Haze Pottery. 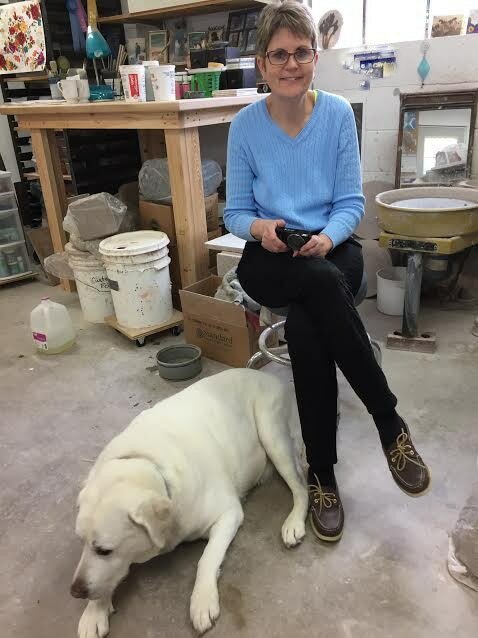 Bill is retired now but still my go to person for advice, a critique, and a helping hand as I continue my work in both my stoneware and Raku.